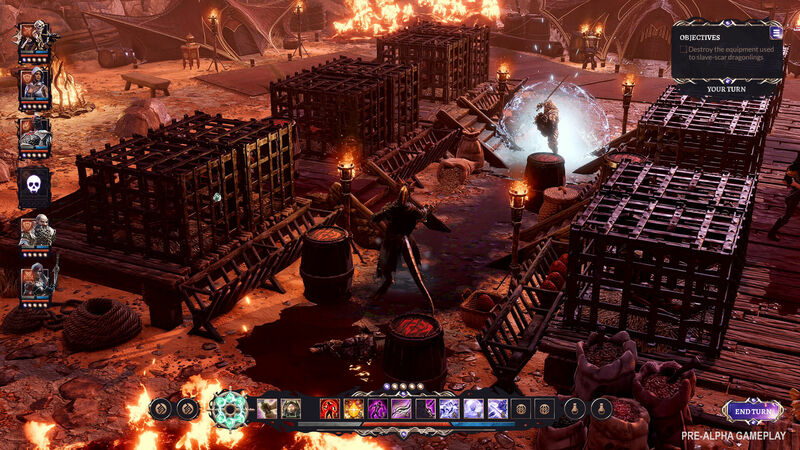 Larian Studios’ Divinity has long been a respected RPG series, but 2017’s Divinity: Original Sin II was the high watermark not just for the Belgian studio but for CRPGs of the last 20 years. With a compelling party of characters, highly inventive quest design, quirky and humorous dialogue, and dynamic tactical combat, it was our pick for the best game of 2017. A follow-up to Original Sin II was inevitable, but the nature of that follow-up is quite surprising. Divinity: Fallen Heroes is a direct successor to Original Sin II, but it isn’t a sequel. Instead, it takes the setting, combat, and storytelling of Original Sin II and reimagines it as a tactical strategy game, essentially X-COM with wizards. Given the success of Original Sin II, this slight sidestep might seem like an odd decision. But as Kelly points out, Larian has history with developing more strategically minded games, most notably Divinity: Dragon Commander. Indeed, Fallen Heroes can be viewed as a hybrid between Dragon Commander and Original Sin II. 'We really felt like we could bring those two together in such a way that will obviously step [the series] forward a huge amount,' he says. While not a direct sequel to Original Sin II, the story of Fallen Heroes nevertheless picks up where that game left off. Taking place two years after the events of OS2, it sees you play a member of the Divine Order, a group of Paladins led by the valiant Lord Lucien. You’re tasked with hunting down the demon Malady, who allegedly stole some powerful weapons from the Order, absconding in her magical galleon the Lady Vengeance. As with Original Sin II, choice will play a huge role in Fallen Heroes, affecting both the missions you undertake and the progression of the story. At this stage of development, Kelly estimates there will be around 70 missions in Fallen Heroes, roughly half of which you will experience in one play-through. Although broken up into individual combat missions, you’ll also explore a much larger chunk of Divinity’s world, including arid deserts, mountainous dwarven Kingdoms, and the mysterious Ancient Empire. For now, however, there’s a siege to deal with. After listening to the advice of Ifan and Lohse, I opt to rescue the civilians of Arx, after which I get to select my squad. During mission deployment, players can select one of their heroes to lead a mission (or two if they’re playing cooperatively with another player) as well as up to five other fighters. These come in two forms. Regular troops are divided into classes such as warrior, healer, rogue, and archer, and can be replenished if they die. Yet in addition to that are Veteran Troops, who act as a middle-ground between your regular troops and the Hero characters. 'Veteran Troops are named individuals with their own set of weapons and skills,' says Kelly. 'You might find that you really like using this Veteran Troop because of the combinations you can create with them. But if they die, they die.' Hero characters can die too, and it will be much harder to resurrect them than in Original Sin II. Unsurprisingly, these tactical engagements are similar to the combat scenarios seen in Original Sin II. To get the edge on your opponent, players can use character abilities and environmental hazards to pull off powerful combinations. For example, using your mage to make it rain and then casting a lightning spell to electrify the resulting puddles. To broaden the tactical scope, however, Larian is making several changes. Turns are now team-based rather than character-based, letting you chain abilities and combos more easily. 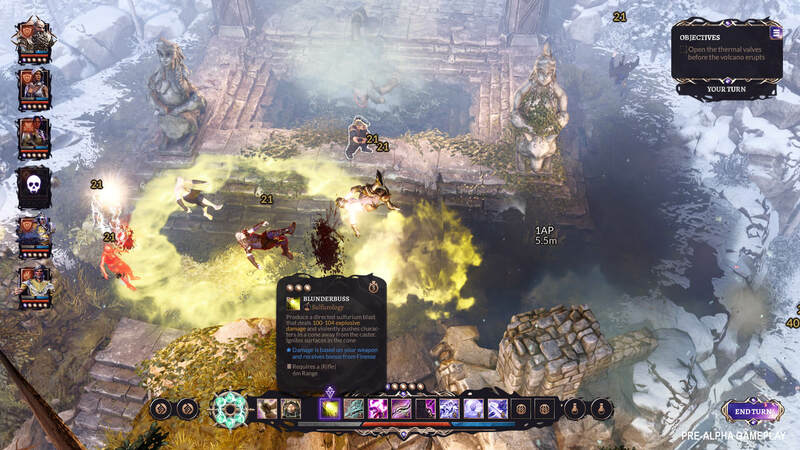 In addition, Larian is adding new environmental effects such as Sulfirium, a strange magical element that can send enemies flying if they step on it. 'Sulfirium is a kinetic-based surface; it messes with the physics engine that we’ve added,' Kelly says. 'We never really had physics in Original Sin 1 or 2. Now we do.' To counterbalance this many enemies now sport powerful, blunderbuss like guns which can push your party members around, so you need to be careful about how you move around the map. Indeed, Larian plans for Fallen Heroes to be a challenging experience, and the demo certainly demonstrates this. After a promising initial start, with my rogue and mage cutting through enemy ranks while my Healer supports at the back, the enemy forces soon prove too numerous for me to get to the civilians in time, and they are quickly overwhelmed. Kelly points out that the difficulty on this mission needs to be tweaked, as only 14 percent of the people who have played it actually managed to complete it. 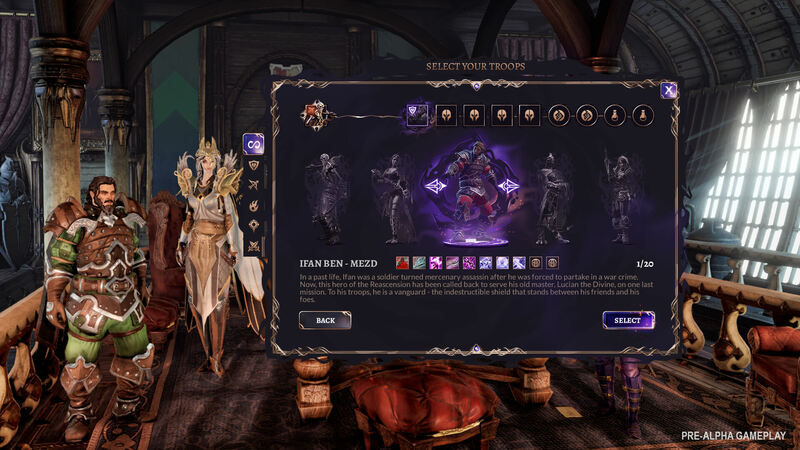 Nonetheless, it gets across the tactical challenge that Larian is trying to create, and I’m intrigued by the potential of what Larian plans to add to this framework. Once the necromancer Fane joins your group, for example, he’ll construct a workshop on the Lady Vengeance, letting you upgrade the ship with all manner of different abilities. 'Because the Lady Vengeance is flying overhead, she can support the battlefield with [artillery] barrages, extra troops, that kind of thing,' Kelly says. It’s still early days for Fallen Heroes, to the point where many of the models and UI elements in the demo are placeholders. Regardless, the core idea works well. Less certain is whether Larian can imbue the hard-nosed tactics of Fallen Heroes with the same charm and personality that Original Sin II had. The game clearly wants to deliver on the narrative side, but there won’t be the same opportunities for exploration and quirky adventures. How Larian approaches this problem will likely define whether Fallen Heroes is a solid tactical experience or another jewel in the studio’s fantasy crown.